Display board photo showing presentation of Freedom of Burgh to Duke of Sutherland. Group photo outside Court House, group includes Gander Dower, Mrs Marg. Murray, Balloan, Mrs Macdonald, Rev. Wm. Macleod. 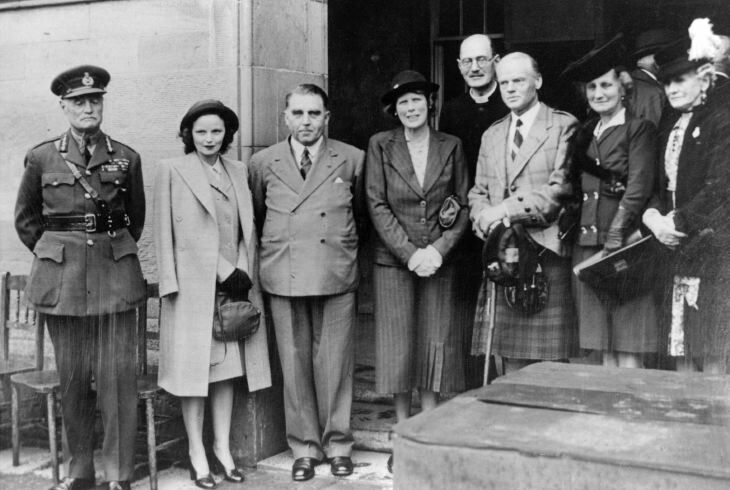 Eric Gander Dower, 1894-1987, was a pioneer of air travel in Northern Scotland between the wars, and was Scottish Unionist Party MP for Caithness and Sutherland from 1945-50.